This chapter on AWK takes us through AWK programming, which is one of the most prominent text-processing utility on GNU/Linux. 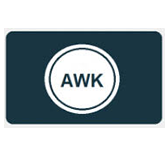 AWK is very powerful and it uses very simple programming language. AWK is used to solve highly complex text processing tasks with just a few lines of code. Beginning with an overview, moving on we have its environment,workflow, and proceeds to explain the syntax, variables, operators, arrays, loops, and functions used in AWK. It also covers topics output redirection and pretty printing. This chapter on AWK would be useful for those who are into fields like software developers, system administrators, or any enthusiastic reader who are inclined to learn how to do text processing and data extraction in Unix-like environment. In order to proceed with these tutorials, one is expected to have basic understanding of GNU/Linux operating system and shell scripting.